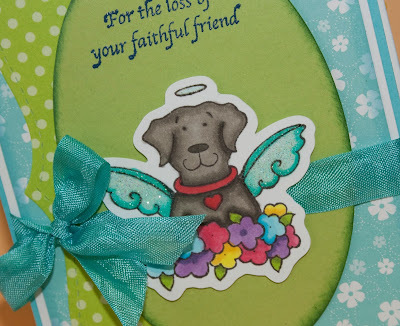 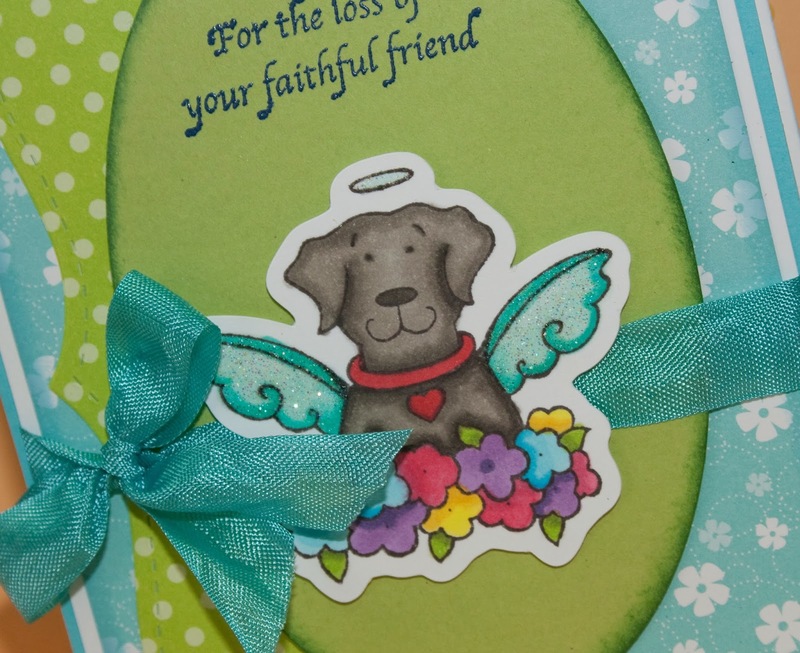 I have a sad card today...a sweet friend of mine lost her 15 year old friend and I wanted to make her something special. 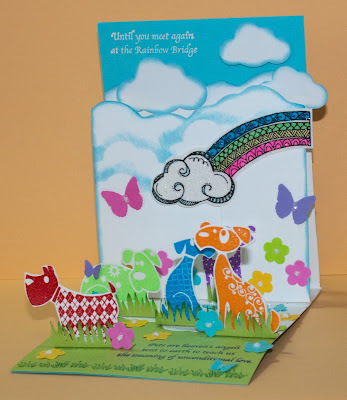 I had started the base of this card a year ago with just the insides and the rainbow and didn't know what I wanted to do with it. 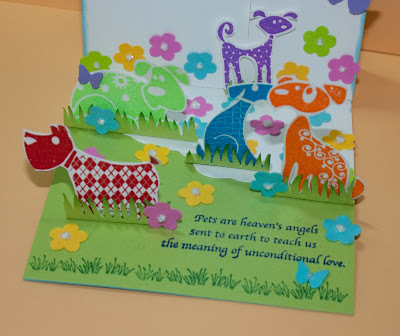 It became the perfect card base for her. 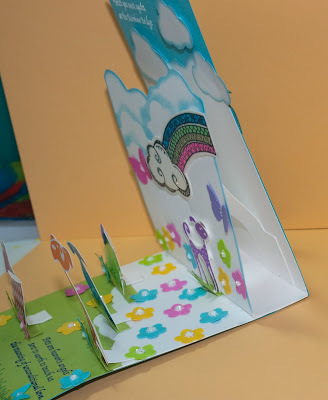 You can find the directions to the card here, she calls it an Up and Away card. 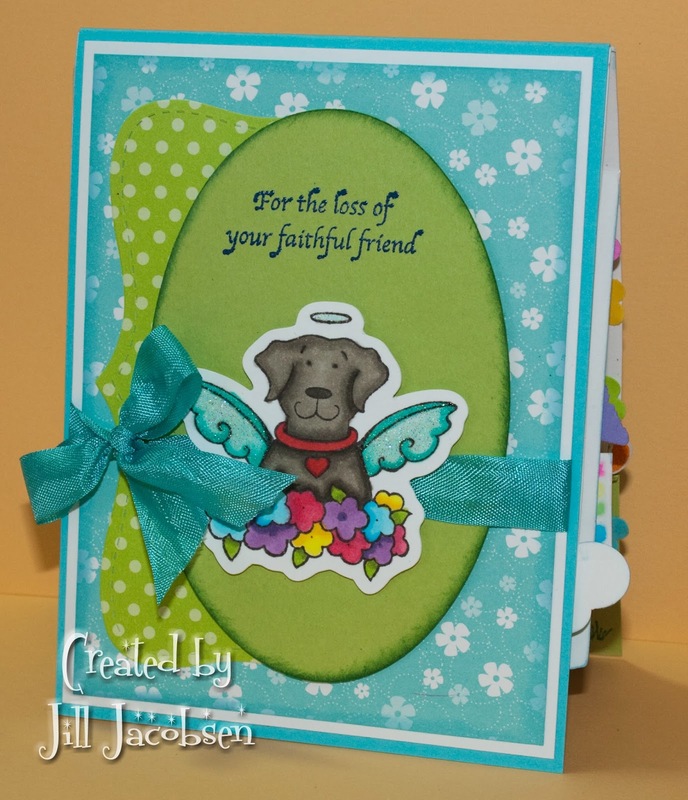 I used the Pet Sympathy stamp set from SNS to start with and the Cut Files for the set and colored with Copics. 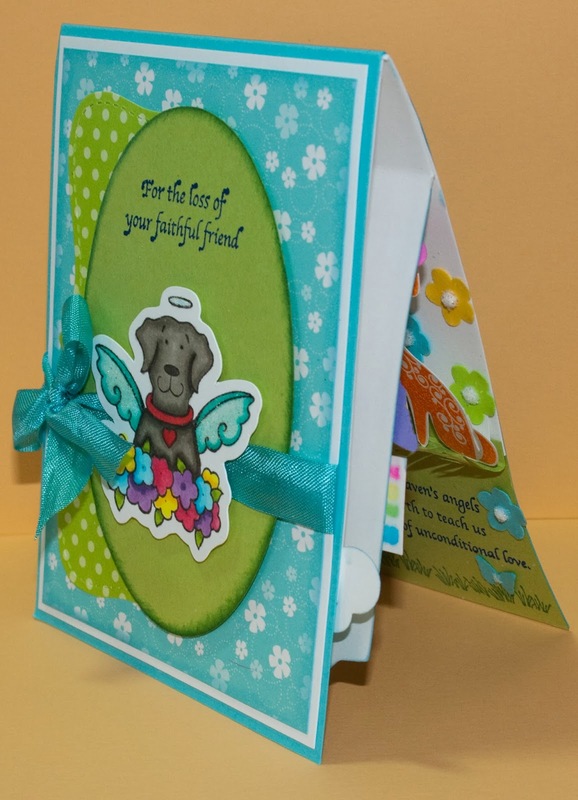 The wings are embossed with Sparkle EP and the sentiment with Cerulean EP. 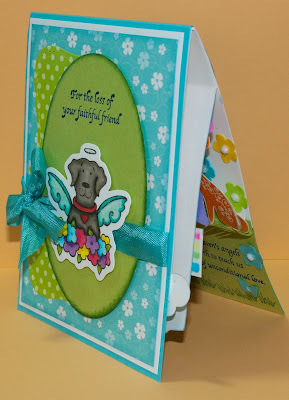 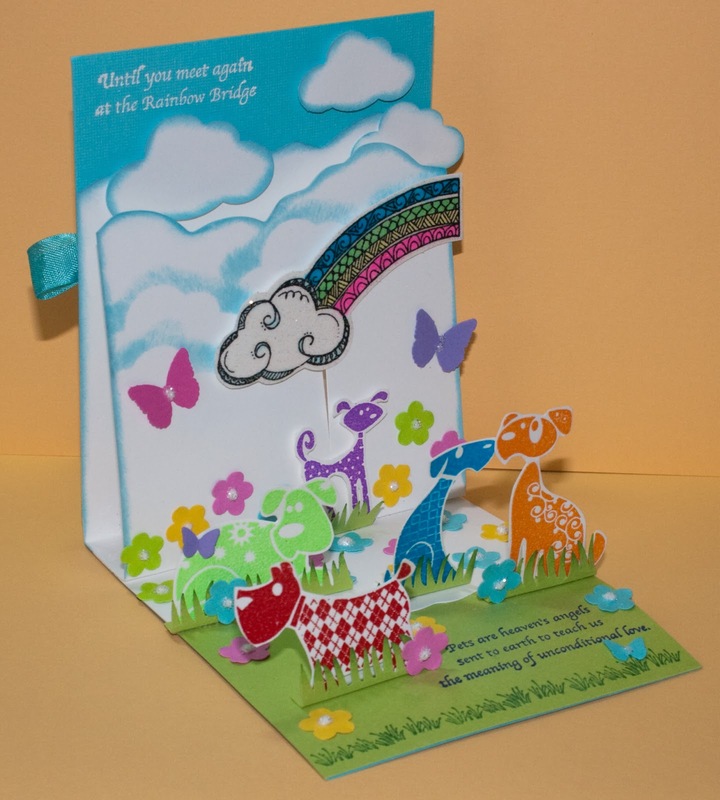 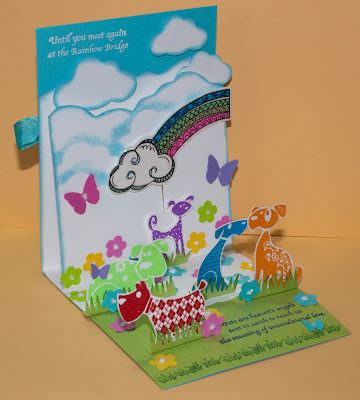 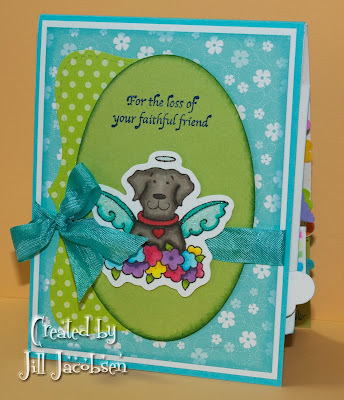 Then for the inside I used an Inkadinkado dog stamp set and embossed all the dogs with different colors. I hand cut the grass in front of each of them. I used my Zendoodle Rainbow image and it also has Sparkle EP over it. The clouds are from a punch and sponged. 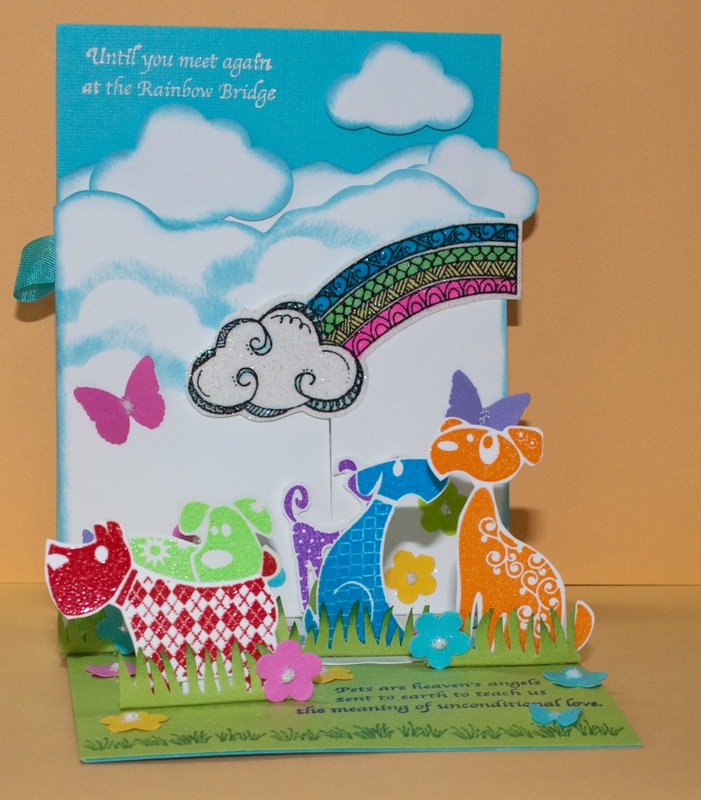 All the flowers are from punches and have Dimensional Glue and Diamond Dust Glitter on them.